$15.00 shipping included. This link will take you to our Square Store. $28.00 shipping included. This link will take you to our Square Store. Maya is on a train from New York to Boston, and a woman drops a book in her messenger bag. 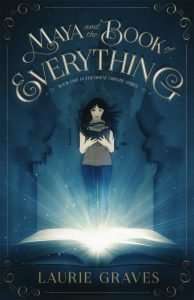 She realizes the woman is being stalked by a grim-faced man, whom Maya dubs “the man who didn't smile.” He desperately wants that book―the Book of Everything. Maya and the book make it safely to Boston and then by bus to Maine, but the man who didn't smile is in close pursuit. Andy is a boy from the past, and Maya meets him when the Book of Everything whisks her back to Andy's time in the 1970s. Soon, he and Maya travel to another world―Ilyria―and become embroiled with another Book of Everything, a deposed duke, warring brothers, a magical forest, and a toad queen. Amazon as both Print and Kindle ebook. 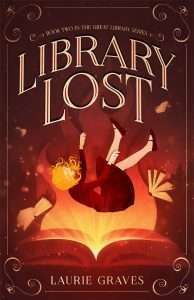 Library Lost is the second book in the Great Library Series, in which two forces, Time and Chaos, battle each other for control of the Great Library, that mysterious place at the center of the universe where all information flows. When Library Lost opens, the librarians allied with Time and led by Sydda, are in charge of the Great Library. These librarians believe that facts do matter, and they created Books of Everything to share the facts with other planets. However a group of adversarial librarians, led by Cinnial, are allied with Chaos. 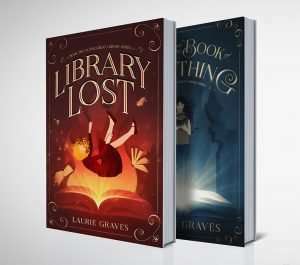 They have their own books and want to take charge of the Great Library to create an alternative reality. In the middle of this battle between Time and Chaos is one kid from Earth—Maya Hammond. 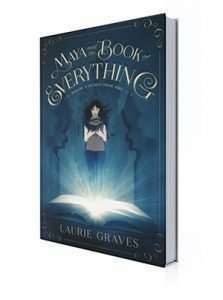 At the end of Maya and the Book of Everything, after traveling across the universe—to the Great Library and to the Duchy of Caxton on the planet Ilyria—Maya is home safe and sound at her grandparents’ farmhouse in East Vassalboro, Maine. But not for long. Although her nemesis, Chet Addington, is imprisoned in Caxton, Maya’s worries are not over. While watching the evening news, Maya sees Humphrey, the murderous Caxton duke whom she helped overthrow. Humphrey is by the side of the president of the United States, who just happens to be Andy, Maya’s traveling companion when she went back in time to the 1970s. It doesn’t take Maya long to figure out that Andy—now President Murphy—is in trouble. And so is she. Library Lost picks up where Maya and the Book of Everything left off, with Maya having to warn Andy about Humphrey. As Chaos closes in on Earth, Ilyria, and the Great Library, Maya must figure out what her role is in the endless battle between Time and Chaos. Do we simply ride the wave of time, like a piece of flotsam on the ocean? Do we get thrown up on the ever-changing shore of a future that was always there? Do we create the future by our actions, or do we have no control or impact on it? 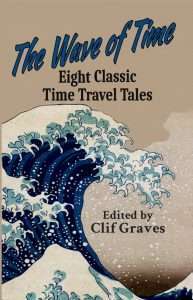 The Wave of Time is a collection of eight classic tales of time travel that were originally published in science fiction magazines between 1931 and 1956. Some of the authors were well known at the time and some were not. Each story was chosen to represent a different take on the nature of time and time travel. Discover how the first group to build a working time machine protect their intellectual property. Find out what it is like to remember the future. Look for the answer to the question “If time travel is possible, where are the tourists from the future?” Travel a billion years in the past, to the far future, and so much more. $10.00 shipping included. This link will take you to our Square Store. 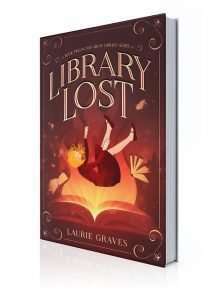 Library Lost the second book in the Maya and the Great Library Series is due this fall. Don't miss this and other announcements.